The Best Blueberry Muffins are perfectly sweet, easy to make, and full of blueberry flavor. It’s springtime and finally, my fridge is full of berries. Blackberries, raspberries, strawberries and blueberries OH MY. We eat them by the handful, add them into smoothies, blend them into homemade “nice” cream, and today, we’re mixing them into muffins since Blueberry Muffins are my daughter’s favorite. I love using Pinterest as a way to inspire me with the foods and flavors of the seasons. The Fall is full of pumpkin and squash, soups and pastas. The Winter months bring an array of decadent chocolate desserts, cookies and hearty meals like chili. Then comes Spring and Summer…..full of fresh produce, smoothies, juices, lighter dishes and berries galore! 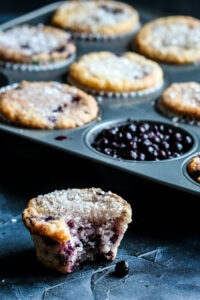 I have to say that I’m partial to the warmer seasons and fruit-filled treats, like blueberry muffins. 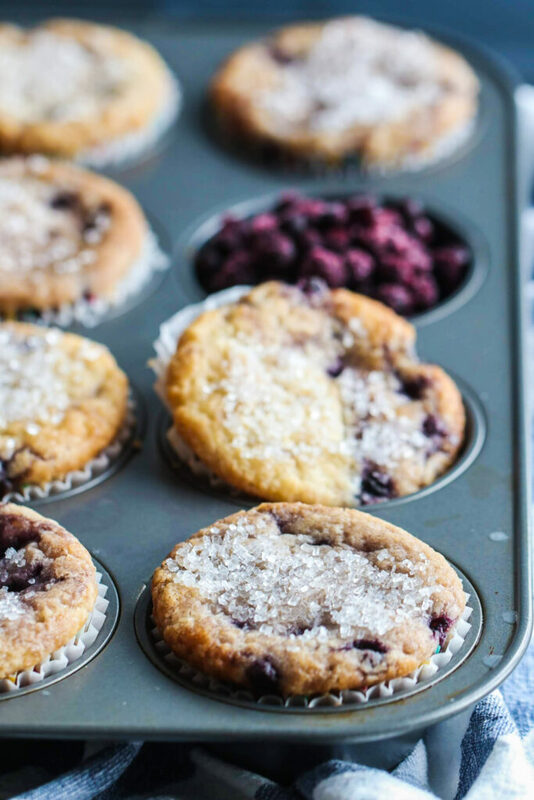 Blueberry Muffins are a bakery favorite for a reason! Made with a hint of cinnamon and a lot of love, these vegan muffins take just 5-10 minutes to whip up and they bake to golden perfection. Serve them warm, fresh out of the tin with a cup of coffee and they’ll bring nothing but smiles to your breakfast spread. 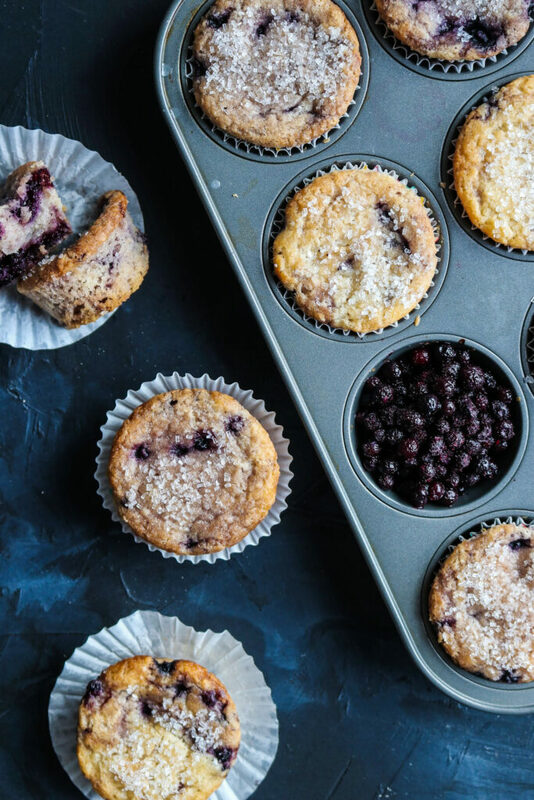 When making muffins from scratch, there’s an easy formula to follow. It’s what I learned in Home Economics back in 7th grade and it’s what works even to this day. The dry ingredients are whisked together in a large mixing bowl. The wet ingredients are mixed together in another bowl. Mix the wet INTO the dry ingredients, just until combined. You don’t want to over-mix the batter, or your muffins will not be as light and tender. THEN, toss the blueberries in a little bit of flour before folding into the batter. This will help keep them from sinking when they bake. 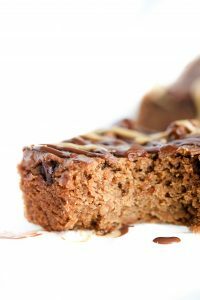 Vegan baking can be tricky, especially when you alter the flour to be gluten-free. However, this recipe gets points for simplicity, even with it being allergy-friendly. All you need is 10 minutes of prep time, two bowls, and a muffin tin. The trick to making muffins without eggs ( or gluten) is to add some vinegar to the recipe. Don’t worry, you won’t taste it! Since we cannot rely on egg to act as the main raising agent, this recipe uses the combination of baking soda + vinegar to give it it’s fluffy texture. The end result, yummy blueberry muffins, without all the allergens. I like to finish off these muffins with a sprinkling of Wholesome turbinado sugar on top. 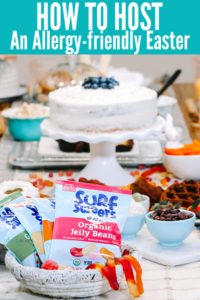 It gives each bite a light but discernible crunch, followed by the soft, warm explosion of round blueberries. Talk about amazing! The Best Blueberry Muffins, which are perfectly sweet, easy to make and full of blueberry flavor. 2 Tablespoons turbinado sugar (optional) to sprinkle as topping. Preheat oven to 375°. Line 10-12 muffin tins with liners. Toss blueberries with a tablespoon of flour to coat and set aside. In a large bowl, mix remaining flour, cane sugar, cinnamon, baking powder, baking soda and salt. In a medium bow, whisk the oil, milk, vinegar, and vanilla and mix until combined. Pour into dry ingredients and then stir to combine. Fold in blueberries gently, trying not to break them all. Fill each prepared liner to the top. Bake for 5 minutes at 375°, reduce heat to 350° then continue baking 12-15 minutes or until a toothpick inserted in the center comes out clean. Sprinkle with turbinado sugar when pulled from the oven to coat if desired. *There are plenty of GF flours to choose from and your allergens will determine which you should use. For us, when baking GF, we use Bob’s Red Mill 1-1 Blend. **Don’t forget the Xanthan gum if your flour requires it. These look great! 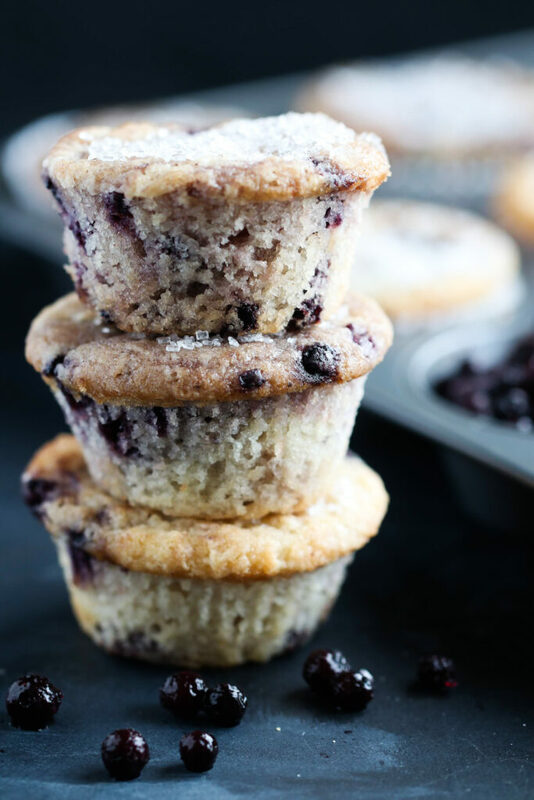 Blueberry muffins are the one true muffin for me 😉 And that blueberry shot – GORGEOUS!! Thank you Meg! Let me know if you try them, its one of our favs. I’ve been full on vegan for about 37 days, and this is my first vegan recipe! It did NOT disappoint! However, I wish I could find some nutrition information. I love to hear this! Continued success with going vegan ….happy to help any way I can. My batter is sooo grainy. Its like sand that can clump if pressed together. What did i do wrong?? Hmm, did you use any variation in ingredients? Such as a different flour, or sugar? Those would be the 2 places to look. If I use a heavier flour or even a sugar that’s not granulated, then it doesn’t break down correctly. 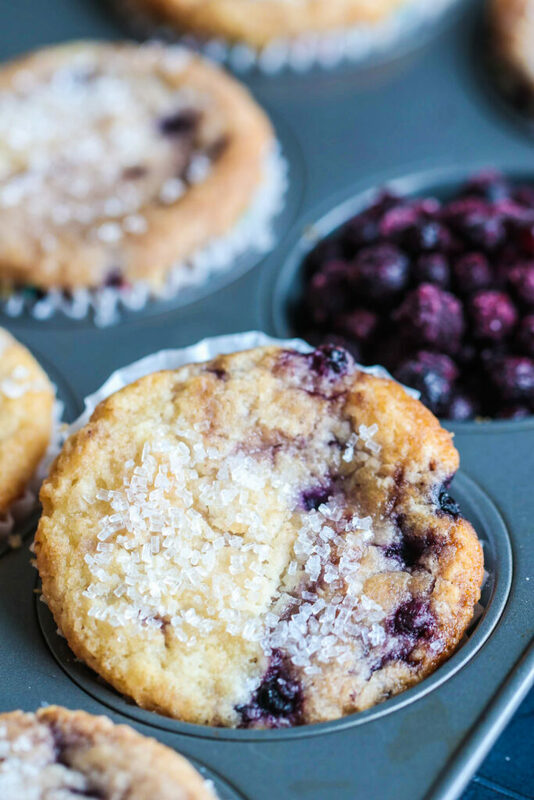 Blueberry muffins are a family favorite…especially with a little added sugar crunch! So glad berry season is on it’s way. 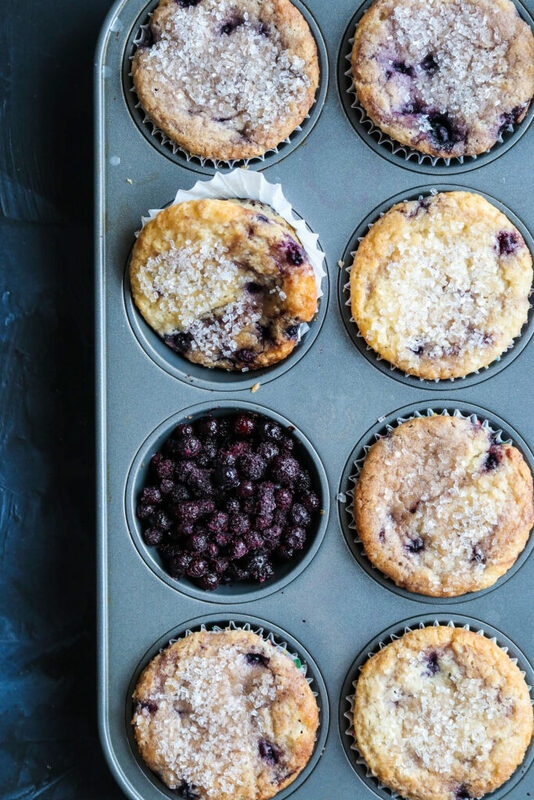 Blueberries are a staple in our house and I can’t wait to make these muffins! They look so delicious and simple! Thanks for sharing! These look amazing! I love cinnamon with blueberries too! There is just something about that flavor combo! Totally agree! Cinnamon just makes the blueberry flavor pop even more..
Would it be okay to use frozen blueberries? Of course! I like to add a teaspoon of cornstarch or flour to my frozen berries just because I know they will get watered down a little bit more than fresh berries.